The heated pool was a huge hit with the kids. The cottage was very clean and kid friendly. Amazing views. Spacious clean interior with quirky design fittings. We loved the pool. A perfect spot for unwinding and mindfulness, being part of nature. Thank you to Emma for showing us the farm and giving us a small glimpse into her daily life. Overall we had a memorable time at Vale Farm. Beautiful location and views. A play area and indoor heated pool kept the kids entertained. The accommodation was really nice. Plenty of room for the children to play, lovely comfy beds for a good nights sleep with no outside noise as it is so remote. The children loved the pool and the play area and also being able to visit the farm seeing the baby lambs being born each day. Such a lovely, peaceful place to escape to when you want a relaxing break. Beautiful property very warm and cozy and the location was great. Nice to disconnect from the world. In the middle of nowhere! Beautiful location, very tranquil. Children loved the swimming pool and jacuzzi. The beds were very comfy. Kids loved the pool and overall the rooms were spacious. The location was easy to find and we had great views from the balcony. The host was very kind and thoughtful - even keep some milk in the fridge to get us started off! Amazing views, super friendly hosts and great atmosphere! Everything about the property was exceptional. Swimming pool and jacuzzi was great. Seeing the lambs born and seeing the donkey and goats who were very friendly. Didn't see my 7 year old he was having too much fun outside. We even played some games which were in the cottage. 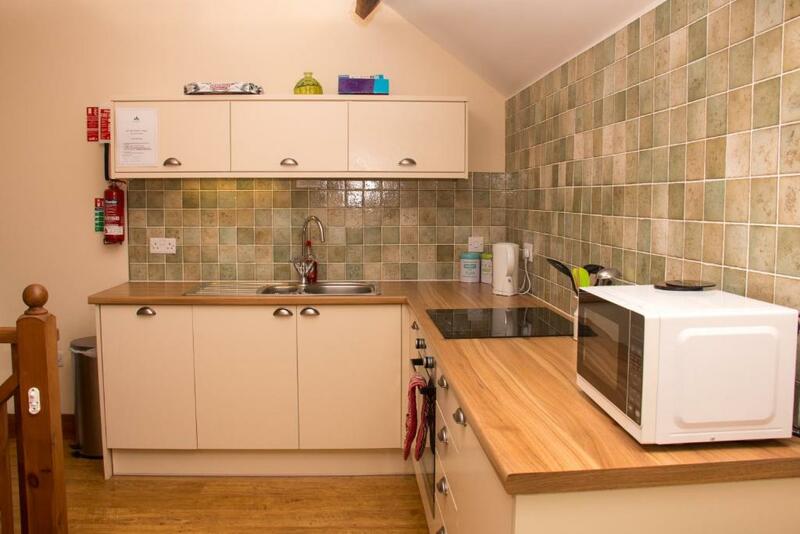 Lock in a great price for Vale Farm Cottages – rated 9.4 by recent guests! One of our best sellers in Brecon! 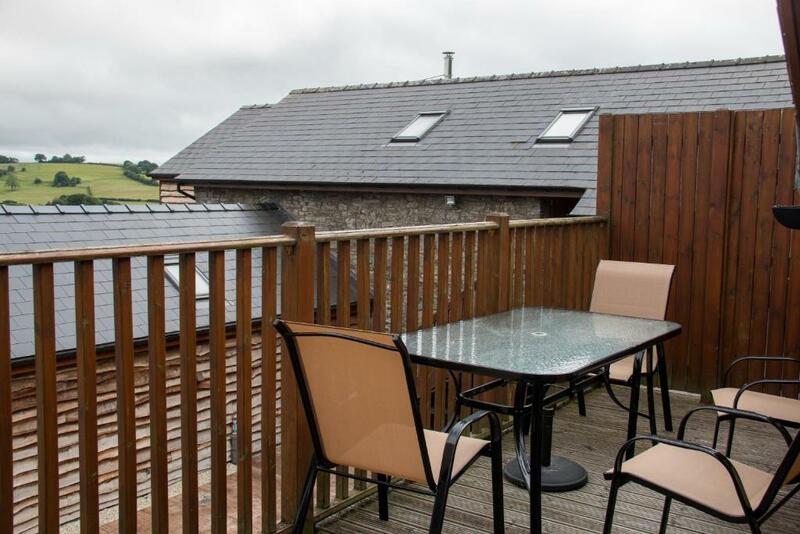 Vale Farm Cottages are set on a farm 4 mi from the Brecon Beacons National Park. 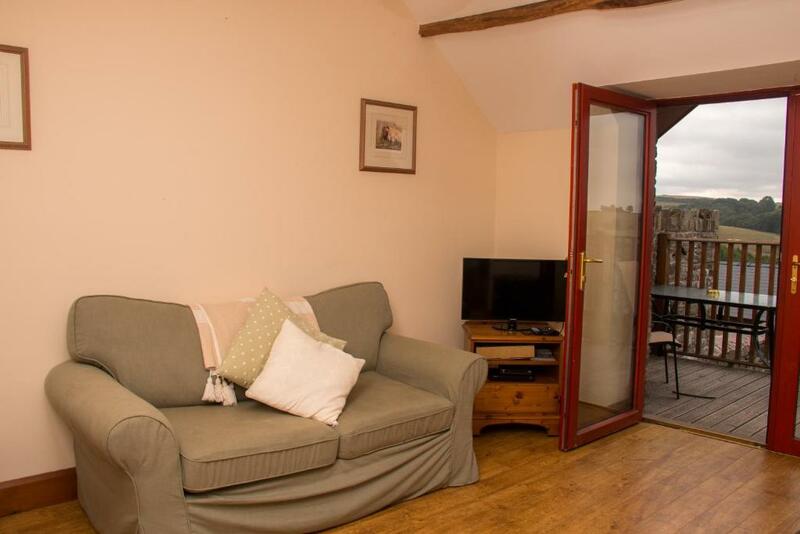 The pet-friendly cottages feature either a sun room or a balcony offering mountain views. 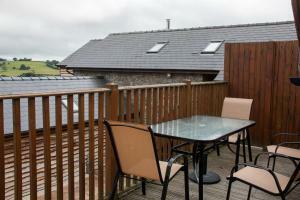 There is a shared (between the 6 cottages) heated indoor swimming pool and hot tub with views of the Brecon Beacons. When would you like to stay at Vale Farm Cottages? This farmhouse has a spacious kitchen, a patio and a sun room with mountain views. There is a shared indoor heated swimming pool with changing rooms. This house has a balcony with mountain views, an open plan kitchen/living room and a patio. This house has a bedroom with a double bed and a single bed, as well as a double sofa bed in the living room. It features a balcony with mountain views. This house has an open plan kitchen/living room that opens onto a balcony with mountain views. The house is accessible for disabled guests. It has a ground floor bedroom, a twin room in the attic with its own toilet, low-level kitchen units and an accessible wet room. This house has a sun room with mountain views, an open plan kitchen/living area and a patio. This farmhouse has a sun room with mountain views, a spacious kitchen/living room and a patio. House Rules Vale Farm Cottages takes special requests – add in the next step! Access to the cottage is by key safe code by front door. A letter with arrival details and key code will be emailed a week prior to arrival. Please note that this is a working farm. Well-behaved dogs can be accommodate and can be left in the kitchen area of the cottage. Dogs are not allowed on the beds. Please inform Vale Farm Cottages of your expected arrival time in advance. You can use the Special Requests box when booking, or contact the property directly using the contact details in your confirmation. Bed was very uncomfortable for me and my husband, but then I am 8 months pregnant. Swimming pool and hot tub were a big hit with kids! Great location to explore Brecon Beacons. Didn't have cupboard space for food. Lounge floor quite noisy for bedroom below. 2 pint whole milk in fridge was much appreciated travelling with 2 young children/infants, perhaps something you give for all guests but particularly well received for us. Thank you. We never got to meet an actual person while we were there which we didn't mind at all, but some people may have preferred. Cosy feel. Great pool and facilities, everything we needed. Stress free arrival and exit. And the fact that it was dog friendly was perfect for us. It was really lovely but a few things could have made it better. Definitely needs a welcome pack was on my own so had to muddle my way through and it would have made more welcoming. The hob had no instructions so it was more by luck I managed to cook. Cups were a bit stained but bleached them and also cleaned the cupboards as they were a bit dusty but am aware this is a working farm and a busy time of the year. I would have liked to have known how I could walk around the land as everything was fenced off so that could be in the welcome pack as other than the pond and playground there didn't seem anywhere accessible but am not sure as no instructions. Sounds negative but these things could further improve this excellent setting and cottage. Lots of these things have been said before on reviews so would have thought they would have been addressed. The only really poor thing on site was the WiFi. It was non existent for most of the time and hit and miss when available. Needs a router in cottage to be able to advertise as having WiFi. Had a fantastic weekend. Lovely cottages. Very clean and comfortable. Will definitely book to stay here again. Terrific hospitality. Gorgeous views. Lovely! This property exceeded our expectations. We stayed in Rowan cottage, the views were beautiful, you could see Pen y fan in the distance! Lovely large, clean and spacious property. It was a home from home. Our kids didn’t want to return home (I think the pool was the icing on the cake!) Host Emma was lovely and very helpful. We will most definitely be booking to stay again, shame the summer holidays are already booked up! only negative from the holiday was the barking dogs, we like to sleep with a window open for fresh air but after the first night we couldnt and had to have the window shut. Other than that everything was perfect! Emma couldn't of been more helpful, she gave us a lovely tour of the farm & even went out of her way to get us a frying pan! we were there for my partners birthday and she did everything possible to accomodate and make it special for us! It may be a good idea to double check the crockery, pots and pans before renting the cottage out again as those were not left in a pristine condition by the previous holiday makers. The location of Vale Farm Cottages is ideal, in the middle of fields, hills and with a view of a beautiful mountain range further away. The two bedroom cottage we had was fully equipped and all worked really well. The swimming pool is great when traveling with kids. Brecon was only an approximately 15 minute drive away with good coffee shops, local shops and supermarkets.